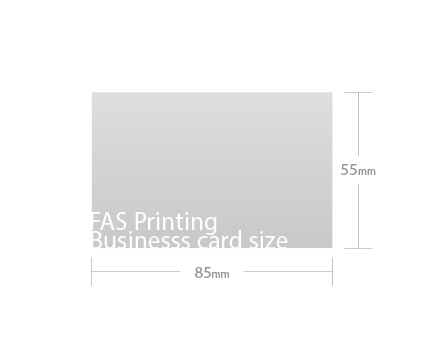 What is the standard business card size in the UK? 85 x 55mm if you want to get an idea how big that it, and to shed light on why it’s that size, simply pull out a credit card. The standard business card size is the standard, simply because it dint’s perfectly into wallets designed for credit and debit cards. Simple, logical and helpful. So when you are out and about, you know that if you and your customers have a wallet, then you’ll be able to easy carry a few spare cards with you wherever you go. The mini business card is the same size as the standard card along the longest edge and almost half the width of a standard card on its short edge. So this is a skinny business card. 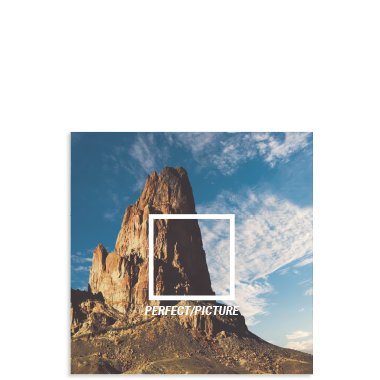 It is ideal for an ultra-wide-screen or panoramic look to your card designs. These styles work well as portrait or landscape orientation, for a slightly different look, which can be quite appealing for its novelty. 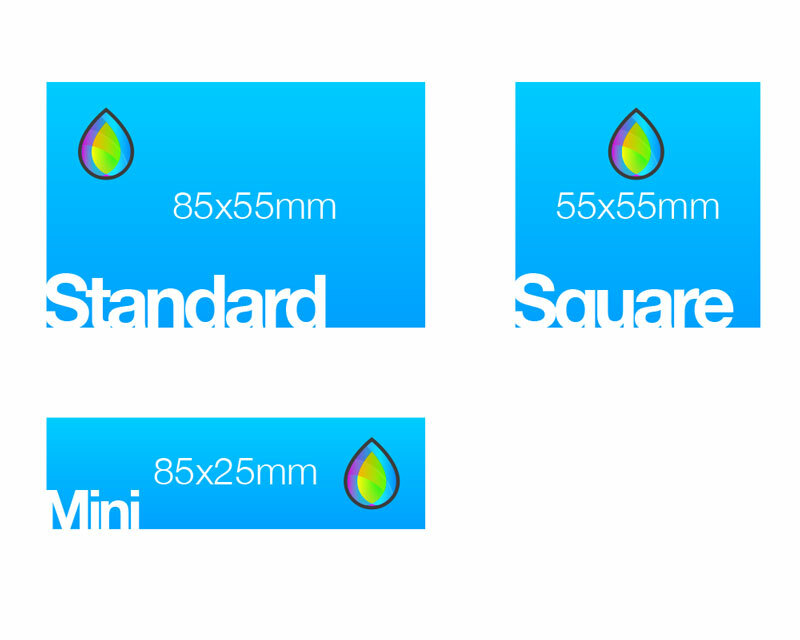 The square cards we produce a 55 x 55mm. This means it is the same size as a standard business card along the shortest side (Check the image above for comparisons between business card sizes). The square business card is great when you want to make a square statement. 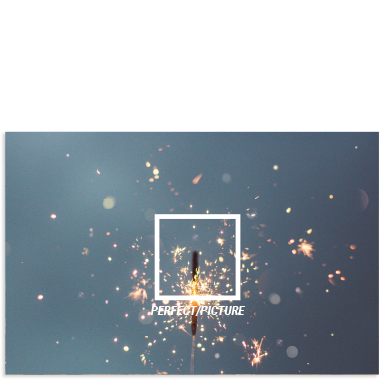 Great for “Instamatic’ camera styles, or the original Instagram style square photos or designs. Super matt, premium finish. With a matt finish and luxury feel, matt makes a great first impression. Soft-touch lamination, is an ultra-matte finish, with a soft, velvety, luxury feel to it. Spot UV can be applied on top of matt or soft touch lamination, to give a fantastic high gloss detail. Business cards are still one of the most important ways to get your business seen, the humble business card is still one of the most valuable marketing and networking tools we have at our disposal. It is just the simplicity of it. They are fantastic conversation starters, they are targeted marketing, they are “here’s my number and email” when you know you’re not going to find a pen and paper lying around. They simply haven’t been improved upon since they were first introduced a few hundred years ago… well the designs have. Our business cards are available on 350gsm or 450gsm silk coated paper stock and finished with a gloss, soft touch or matt lamination (or no lamination). We also produce a range of uncoated business cards, available in 350gsm uncoated, 350gsm 100% recycled, uncoated paper stock and 320gsm Conqueror cream paper stock. They are all beautiful, and there is a finish for everyone. We have seen people try and improve upon the idea with various methods, such as scanning QR codes to see a digital business card – and while it is a novelty, the fact that far from 100% of people will understand how to use it, still means that a standard business card it needed. Take your cards to another level with spot UV gloss details on matt or soft-touch laminated cards. We print amazing quality for unbelievable prices. Seriously, give us a try. Traditional or cutting edge, we believe everyone should have beautifully designed print. We include UK delivery charges so that there are no surprises when it's time to pay. Simple. We work with our customers to provide them with the very best for their budget, find out how we can help you. “grams per square metre”. Our standard paper weight for magazines or brochures is 150gsm, business cards are around 400 gsm, computer printers normally use 90gsm. Gloss, Silk, and Matt coated paper. These papers have a clay coating which is finished with different textures that are great for printing and give a fantastic vibrancy to the colour or black & white images. A Matt paper with no noticeable finish which is ideal for writing on and is commonly used for letterheads and compliment slips. 4pp, 8pp, 12pp etc. As an example, an A4 piece of paper folded in half is a 4pp A5 because it has 4 individual sides, each one A5 in size. Therefore, any books you want must be multiples of four, ie., 4, 8, 12, 16, 20pp etc. Stands for ‘Cyan, Magenta, Yellow and Key (black)”, the colour gamut used by printers which determine the range of colours that can be reproduced. Computer screens work on an RGB – ‘Red, Green and Blue’ – colour gamut, which offers a larger range. Some colours, particularly bright or fluorescent ones are not achievable when using a CMYK printing process and prints will look different to how they appear on a screen. This is why it is important that your artwork is designed in CMYK as RGB colours will be converted to their closest CMYK substitute. Lamination finishes work with a plastic coating in various finishes that gives your work a rich brighter look and more protection from everyday use. Is a subdued finish that softens colours and adds a smooth texture, ideal for a sophisticated, modern look. Is a high gloss finish that is ultra shiny. It makes colours vibrant, rich punchy, ideal for photographic images. Gives a very nice feel likened to the texture of a peach. Colours appear deeper and richer than with Matt lamination. A finish that gives your print the utmost in luxury. As a customer, you don’t normally have to worry about paper size unless it’s to choose a size of poster or – on a smaller scale – a size of booklet or flyer. Starting with the most commonly used size – A4 (210mm x 297mm), you just double the shortest edge to take you to the next size which is A3 (420mm x 297mm) or half the longest edge to take you down to A5 (210mm x 148mm). So from A5 we go down to A6 (105mm x 148mm) and then A7 (105mm x 74mm). From A3 we go to A2 (420mm x 584mm) and then A1 (584mm x 820mm) and finally to A0 (820mm x 1168mm). There are of course other larger sizes but these are less common in everyday print and you probably won’t need them, however, there are commonly used smaller and ‘different’ sizes such as DL (210mm x 99mm) and business card (55mm x 85mm). For short runs – normally up to 500 copies – we supply digitally printed copies, which gives us great flexibility for customers requirements so that you only need to buy the quantity you need. For everything over 500 copies, lithography is the world standard for high volume printing and the more you buy, the cheaper the unit price becomes. We use this method for large runs of printed material. Never before have large format posters been (financially) within reach of the smaller business, but with our amazingly low prices, A0 or smaller posters are real tools to be utilised by businesses of any size. Our roller banners are some of the most cost effective around and with one of our fantastic designs, you will be ready for any marketing opportunity that comes your way. Vinyl banners (inside or outside). If it’s an economical, large format sign that your company needs, then a vinyl banner can be an amazing addition to your advertising arsenal. 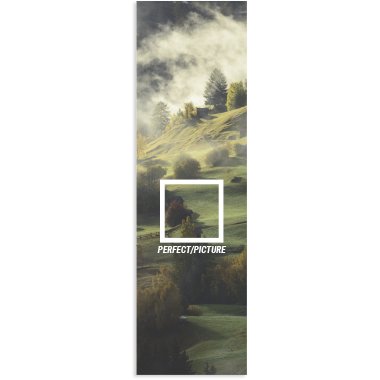 We can supply some of the cheapest ‘bespoke’ designed banners in the south of England and in vinyl weights from 440gsm through 350gsm mesh, to 700gsm double sided banners. Foam board 3 or 5mm. For a more permanent looking sign foam board fits the bill for many uses. It is very light and can be stuck to walls using double sided tape, or framed to appear more pleasing and substantial. Di-bond is two sheets of aluminium with a polyvinyl core, which makes for a very high-quality sign which will withstand the forces of nature for a long time and still look as good as new. The signs are supplied with screw holes for fitting. [widgets_on_pages id=2]We have seen people try and improve upon the idea with various methods, such as scanning QR codes to see a digital business card – and while it is a novelty, the fact that far from 100% of people will understand how to use it, still means that a standard business card it needed. Amazing quality printing at unbelievably cheap prices. Yay!